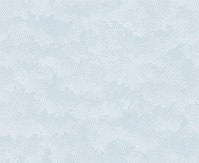 Describe how a gradient can be used to create an echo event. Describe the condition that causes the rapid decay of transverse magnetization during the free induction decay (FID) process. Explain the general advantage of using excitation pulses with flip angles less than 900. Explain why the small angle gradient echo (SAGE) method generally requires a shorter acquisition time than a conventional spin echo method. Describe the general relationship between TR values and the intensity of the RF signal produced in each imaging cycle. Explain why it is not practical to increase acquisition speed by just reducing the TR to a very short value in conventional spin echo imaging. Describe the effect of excitation pulse flip angle on the level of transverse magnetization produced by the pulse. Describe the effect of excitation pulse flip angle on the level of longitudinal magnetization remaining after the pulse. Describe the effect of excitation pulse flip angle on the intensity of the RF signal produced in each imaging cycle. pulse flip angle on the types of image contrast (PD, T1) that can be produced. Identify the type of image contrast that would be produced by using a relatively large (600 to 900 ) flip angle pulse with the SAGE method. Explain why the basic SAGE method cannot be used to produce T2 weighted images. Describe the process of spoiling and why it is sometimes used with gradient echoi imaging. 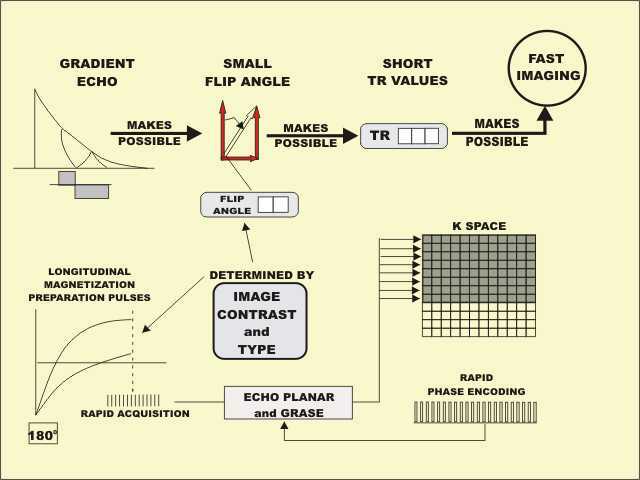 Describe the basic concept of echo planar imaging (EPI) and how it produces fast image acquisitions. Explain specifically why all MRI systems might not be capable of doing EPI. Explain the general concept of the EPI speed factor and it's relationship to acquisition time and the filling of k space. Describe the general concept of the Gradient and Spin Echo (GRASE) imaging method and how it produces fast image acquisitions. Explain why a magnetization preparation process is often used with the rapid gradient echo or EPI methods. Identify and explain the function of the protocol factors used to adjust image contrast when using magnetization preparation.